At Harling & West, LLC, we understand that people facing legal problems are dealing with stress and uncertainty about the future. We will work together with you to come up with the right strategy that will allow you to deal with the issues you are facing and move forward. At Harling & West we understand that people facing legal problems are dealing with stress and uncertainty about the future. We understand the emotional aspects of our clients' cases and how to guide people through their legal processes successfully. Our team of Lexington County attorneys has been helping families throughout the state for years, and we continue to prioritize our client relationships above any other aspects of our legal practice. When you come to us, we want to make sure that you receive the compassionate and effective legal support you need. There is nothing more important than your security and peace of mind during this time. Let us provide the counsel and representation you require to feel secure and confident as you move forward with your case. Our team of attorneys works collaboratively on cases to yield the most creative and effective results for clients; however, each of our lawyers is primarily focused on a specific area of our practice. Attorney Jonathan Harling heads our personal injury practice; Attorney Rebecca West leads our family law practice; and Attorney Allison Bullard concentrates on adoption cases. 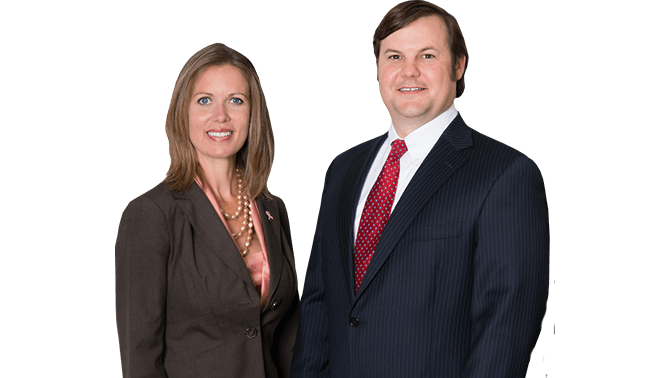 Are you facing a divorce or a complicated family law issue in Lexington County? Some matters of family law can be extremely painful and complex. Our South Carolina divorce attorneys are skilled in this legal field and are prepared to help you come up with a strategy that allows you to move forward and achieve the resolution you and your loved ones need during this difficult time. If you or someone in your family has been wrongly accused of child abuse or neglect and your parental rights are being threatened by the South Carolina Department of Social Services (DSS), call Harling & West, LLC right away. We are prepared to provide the perspective and advice you need. Our lawyers are very familiar with DSS cases and can advise you as to grandparents' rights and your options regarding child custody and support. Divorce can be a painful time. Whether you are dealing with a military divorce or you have questions about how mediation could help you avoid litigation, we are ready to help you navigate the confusing divorce laws in South Carolina in order to achieve the smooth and straightforward case resolution you need. Whatever the situation you face in the field of family law, do not hesitate to contact our Columbia law firm to learn more about how a caring and tenacious lawyer from Harling West is ready to help you and to schedule a time to discuss your options. Get started today to find out about the options available to you. If you or someone close to you was hurt or even killed because of another individual's negligence or misconduct, you deserve tough representation - and we are here to provide it. Our personal injury and wrongful death lawyers have helped victims throughout the state of South Carolina achieve the compensation they deserve. Many of our clients have been hurt in car accidents or motorcycle accidents, including drunk driver accidents and those caused by commercial trucks or tractor-trailers. We have been able to win large settlements on behalf of our injured clients, and we are ready to put that skill to work for your benefit. You should not have to suffer financially for someone else's mistake. Call Harling & West, LLC today to learn how a personal injury attorney can help you. At Harling & West, LLC, we tailor our representation strategy to meet the unique needs of each of our clients. We understand how important your case is, and we will ensure that you receive the dedicated advocacy you deserve. Each of the lawyers on our team is known for forming lasting relationships with clients - relationships that endure long after their role as legal representative has passed. When you contact us, you will be able to set up your appointment and learn about the firm from our paralegal, Lori Ross, who has more than 30 years of experience. She assists our team with addressing the immediate concerns of our clients until we are able to contact them directly. She is an essential part of our team, and our clients love working with her. As an accessible, client-focused firm, we believe in accommodating your needs and providing the education you need to participate in determining the direction of your case. This effort can enable you to make the informed decisions necessary to proceed and meet your long-term objectives. Call Harling & West, LLC today to learn more about how we are ready to fight for you.